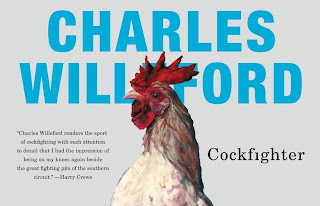 Books like Cockfighter (US) remind me of how I came to love literature in the first place. It offers a wonderful sense of being transported to an entirely different place, seeing the world through the eyes of others and then ensuring that I’m so captivated by a series of events that all I want to do in life at a given moment (well, most given moments) is return to the next page. The quote at the beginning of the book is from Ezra Pound – “What matters is not the idea a man holds, but the depth at which he holds it.” There’s plenty of depth in evidence here as protagonist Frank takes the reader into the life of a serious cockfighter. That last phrase is the kind of poetic turn that give the story an extra edge – Willeford allows his character to tell his tale without relying on the mundane. When we meet Frank, he’s on the cusp of losing everything – his money, his last fighting bird, his car and his trailer home – on one fight with an old adversary. It’s a hugely dramatic opening and, at risk of spoiling that drama (look away now) it ends up with Frank leaving the pit with only $10, a coop, a few clothes and a guitar. Given a lift by an old friend who has been forced to retire, he’s offered the chance to buy the perfect bird, Icarus, for the hugely inflated sum of $500. Frank has a choice – to promise to buy the bird or to give up the game and return home to marry his patient, conservative fiancée. Frank’s passion means there’s only one option and he sets off to find the money he needs. What follows is the engrossing sequence of events that will lead up to Frank having the chance to make his personal dream come true. Cockfighter reads like a novel from the depression era, but is set in the 1960s. In some ways, it points to the hangover of values that are old-fashioned in ways that might be seen as good and bad. Frank has his own mixture of values, and his own liberal(ish) views are often contradicted by his animal self or by society. Race and gender are particular areas of interest here. The series of adventures in the book are brilliantly told. There’s a wonderful use of dramatic tension which left me hungry to find out what would happen next. When the final full stop was reached, my appetite was entirely satisfied. Here’s a book the likes of which I wish I could write myself. Given the talent on show and my own limitations that’s very unlikely, but just like Frank I don’t see the harm in setting such a high goal. Maybe I should take a vow of silence; if nothing else I suspect my wife and colleagues would be happier that way. 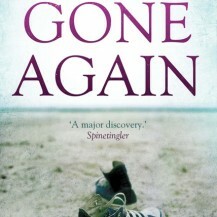 Having thoroughly enjoyed a couple of crackers by Doug Johnstone in the form of Hit And Run and Smokeheads, I was pretty excited about Gone Again. Unfortunately for me, I didn’t get quite the same feeling about this book. Hit And Run and Smokeheads grabbed me from the off. They land smack in the middle of the action and never let up. Gone Again has a rather different feel. It’s a much gentler start and, even though the situation of a woman going missing while husband and child try to cope without her has lots of dramatic implications, I didn’t really feel them. 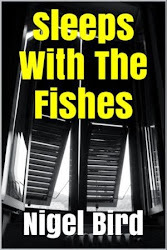 Mark Douglas finds himself in a difficult position with just about everyone when he realises his wife has disappeared. He’s at odds with the school, his wife’s colleagues, his mother-in-law, his son and the police. As things become clearer and the plot thickens the tension builds to some extent. All the ingredients of a thrilling read are there and I’m not sure why I didn’t really get involved with the characters or their situation. The opening concentrates on the domestic setting. It’s well done in the sense that it’s pretty realistic, but that might be one of the issues. The dialogue between father and son and the things that happen are so ‘real’ that they lack a little something for me. The thoughts of Mark as a father are thoughts I’ve had and the pressures of parenting are all-too-familiar. This one also has a little more fat that the lean prose I’ve become used to. It’s a little diluted in some way, so the flavours weren’t strong. There was enough in the story to keep me going to the end as I did want to find out what had happened and I’m glad I stuck at it. It does all become more active and interesting, yet I still wasn’t fully there. I wouldn’t want to put anyone off reading this, though. I know the author can work magic and just because it didn’t happen for me here doesn’t mean it won’t work for you. If you’re put off by this review, try one of the others I mention. If you’re not, try them anyway and you’ll have a treat in store when you get to them. Sadly, for Gone Again, I feel it was me who was missing in action. Simeon Grist is a Private Eye operating in the colourful world of California. He has a need to protect the vulnerable and a quick sharp wit that he uses at every opportunity. How’s this for a description of a rainstorm? In ‘The Four Last Things’ Grist is working 2 cases, one for the shady security chief of a record company and another where he’s trying to locate the cat belonging to his sour landlady. His investigation involves plenty of opportunity for a typically hard-boiled exploration of LA. It’s not long before Grist is working on Sarah’s murder investigation gratis, fuelled by the need to find justice for her. This takes him into the world of a wealthy religious sect working out of Big Sur. Overall, the detective work, the one-liners and the action prove to be very satisfying. Some of the explorations of the bigger questions of life dilute the power from time-to-time, but for anyone looking for new dimensions for their detective fiction, they can certainly find them here. One of the nice things about the Dancing With Myself series is that it may have contributed to helping authors take steps into the world of selling their books. Ideally, everyone who appeared here will go on to bigger and better things. Here's an interview by John Barlow who has certainly moved up a notch or two in terms of his reputation. So, what have you been up to since the last interview? The last time I was here I was publicising my first crime novel, HOPE ROAD. Now I’m back with FATHER AND SON, the second in the same series. Which you self-publish, right? How has that been? Well, a few months after HOPE ROAD came out I had begun to believe that choosing the ‘indie’ route was a terrible mistake. The novel wasn’t selling very well, and it all seemed to be a bit of a waste of time. Yet here you are with the second novel in the series. What changed? HOPE ROAD began to sell. Slowly at first, but with a few sudden bursts. Without ever becoming a #1 bestseller, sales crept slowly up to a (very modest) five figures. 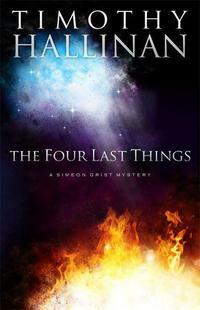 So that gave me some encouragement to finish the second book in the series. I am. 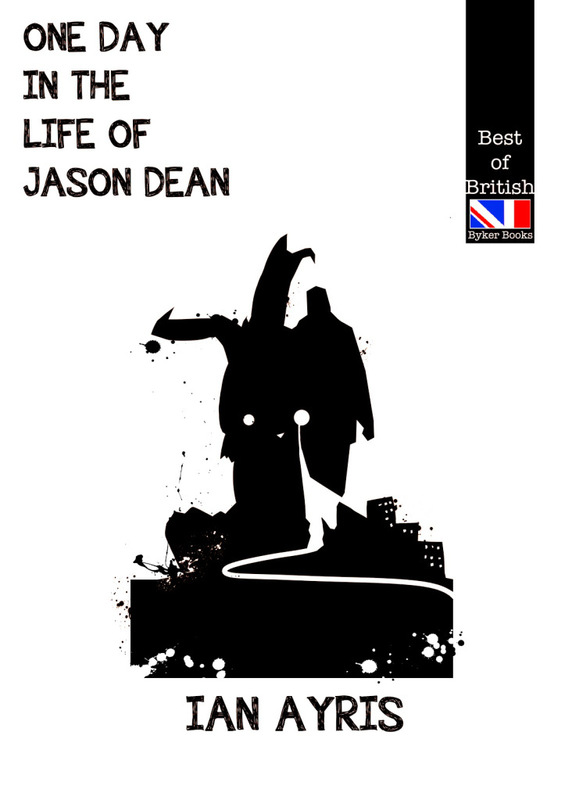 The book has done best of all in the US, which seems strange to me, given that it is set in Leeds, a city which isn’t very well known in the US, and which has very little pedigree as a setting for crime fiction. And Leeds is the setting for book two? Yes. 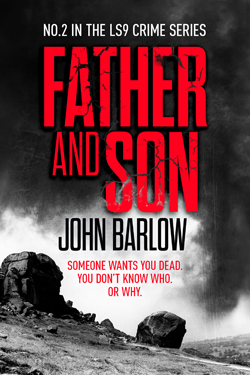 FATHER AND SON is a free-standing novel, but it does pick up more or less where HOPE ROAD left off. It’s more thriller-ish and tighter overall, I’d say. So, you’re a confirmed indie writer now? I dunno. It’s still fun to do it all yourself, the covers, setting the price, etc. Indeed, I’ve managed to get some e-rights back off publishers and re-launch some of my previous books, both in English and Spanish. But it’s a lot of work, and the market for self-published ebooks is changing fast, not always for the better as far as indies are concerned. So, I’m still not completely sure. But if you continue with this series, it will be self-published? Amazon Select: got an opinion? If you buy one of my ebooks from Amazon, you can forward the purchase email to me (email available on my www site) and I’ll send you an ePub version, or whatever format you need. Amazon are happy with this arrangement. 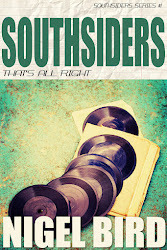 Also, I will gradually be taking my books out of Select and getting them into Kobo, Apple, Sony etc. The advantage of being exclusive to Amazon seems to have dwindled almost to nothing. You are still based in Spain. Do you miss England? Ian Ayris still has the capacity to surprise me with his work even though I’m fairly familiar with it and feel like I know where he’s coming from. Nothing about is writing is predictable and nobody else (to my knowledge) is writing anything quite like it. I’ve loved his short stories and really liked Abide With Me; One Day In The Life (US) caps them all to my mind. 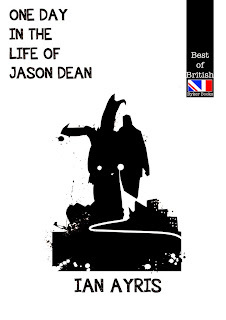 Jason Dean is a hard man and a bit of a thug who has started to reflect upon his life. He’s very well read after years of trying to better himself. On this particular day, he has a few jobs to do for his boss – a couple of money collections and a murder, which is the outline of the plot. However, you get so much more that plot from Ian. He quotes writers of great stature and then interprets them in a language that makes complete sense of the world, making literary wisdoms wonderfully accessible. He uses poetry to emphasise a point and then goes on to write phrases and paragraphs that are as profound as any poem. This book’s beautiful. It’s tragic and moving and it’s very special indeed. Reading it has inspired me in some way, something relating to living and to writing I suspect. The publishers proclaim this 'the Best Of British'; in this case, I'd say they're absolutely right to do so. The main thrust of Hard Bite (US) is a brilliant conception – the victim of a hit-and-run accident (Dean Drayhart) loses his daughter and his ability to move and sets out on a mission to avenge any victims of hit-and-runs. 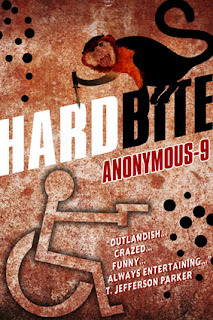 Of course, it takes more than a great concept to make a great book, but Anonymous-9 has pulled this off with a good deal of skill to get the most from her initial idea. Drayhart’s accomplice is a monkey (Sid) who has been trained to kill. As well as being a killer, Sid is also a big help around the house and is an assistant driver. 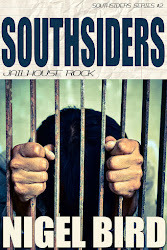 Their first victim happens to be seriously involved with the Mexican mafia and his connection to the cartels seriously thickens the plot. The other aspect of the novel, and the aspect I think I enjoyed the most, is the local sheriff on the case, one Doug Coltson. Coltson’s in charge of putting together the pieces from a number of investigations. He’s a fantastic creation and I hope he might feature in future novels. The whole read is one of adventure and entertainment. There’s plenty of humour, violence and action to engage a reader, as well as a sensitive handling of characters that makes them ever-so human (even Sid). This one’s a real pleasure and it’s a must for anyone looking for something that doesn’t do the reader the disservice of simply joining up the dots or finding the lowest common denominator. 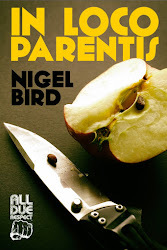 ps As well as being available in kindle from from Blasted Heath, you can also get a paperback copy (published by New Pulp Press) via US and UK links. Some short stories can give the sense that a writer is really pushing out the boat as far as they can manage, maybe to add shock value or to stretch themselves and their thinking. In the case of Jedidiah Ayres, I suspect that his extremes seem so entirely natural that he might even have to rein in his imagination from time to time. ‘A F*ckload Of Shorts’ (US) is a collection which contains some fabulous stories. They’re well put together and nicely layered. The characters are fully fledged as well as being marvellously flawed; the snapshots we get of their lives tell us everything we need to know. Mr Ayres does more than just bring these characters to life, it’s as if he’s living within their skin until he sheds one to find a new protagonist. The stories have variation and did have me cringing from time to time. Thankfully, a seriously dark humour helps when things get tough. My favourites are the openers, with two tales criss-crossing and taking different points of view on 50k in cash that has gone missing. which, I guess, makes me a degenerate and a pervert too. 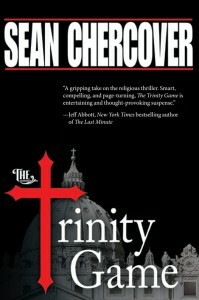 ‘The Trinity Game’ (US) is a slick read that had me gripped from close to the opening. To begin, there is an assassination attempt and from there, we skip back a short while to find out how about the events that led up to this moment. Daniel Byrne is a priest who works for an agency of the Catholic church. Essentially, he’s the man who is sent for to investigate and expose fraudulent claims of miracles. His boss gives him the challenge of investigating his own uncle, a phoney con man of a preacher who brought Daniel up as if he were his own son. Daniel relishes the possibility of bringing down the uncle who exposed him to so much that wasn’t true. The thing is, that whilst Tim Trinity (the aforementioned uncle) is speaking in tongues, he’s actually making predictions that come true – record his sermons and play his ‘speaking in tongues’ backwards and the messages can be clearly understood. Daniel is surprised by this as it runs counter to the information he’s been provided. Trinity’s predictions come in all shapes and sizes. He offers race winners, football scores, on the one hand and warnings of dangerous explosions on the other. I’ve never considered the consequences of what might happen if someone could see into the future, but Sean Chercover clearly has. The mob aren’t happy because of the implications for the gambling industry. The church isn’t happy because their own god cult will be undermined. The government can’t settle because of the possible exposure of their motivations to maintain the status quo. The economic drives of society might be seriously challenged were god to offer insights and messages on morality. In short, there are a lot of agencies who might want to silence Tim Trinity using any means at their disposal. Chercover has created outstandingly well crafted characters for this story, fully formed people with interesting histories that are interesting in themselves. He’s also found big enough scope to allow a reader to focus upon a number of issues – the lengths the swine of the press will go to uncover a pearl; elected governments and their uneasy relationship with freedom of speech; the ambiguities of national security; institutional racism’ sexism; and general hypocrisy. This is gently done and only adds to the complexities and pleasure that can be derived from the story. There is plenty to provoke thought, but my eyes were always focussed on what might happen next and the eventual outcome. I was completely wrapped up in the book and bought the entire premise. It’s a tremendous creation that offers far more than your average page-turner. As I sprinted to the end, I thing I’d been so taken in that I’d begun to expect there’d be a revelation of some kind that might be life-changing. Maybe there’d be a customised messaged that would help me find a path to follow. Of course, the author couldn’t provide that and, instead, he stuck to his job by tying up all the loose ends in the story and making sure the whole thing is bullet proof. I really enjoyed it and urge you to give it your attention. The recent world economic slump may not have happened in quite the manner that most people imagine, not if The Fix is on the button at any rate. Opening in a dead man’s room, Josh finds himself at a low point – job, girlfriend and prospects all gone to pot, not to mention the dead body thing. In order to find out how things got to be quite so bad, we follow Josh’s story from an earlier point when he meets an unusual city type and also falls in lust with a beautiful, blond nymphomaniac for whom he develops an unhealthy obsession (think white T-bird and American Graffiti). The unfolding (or unravelling), takes place from a number of points of view, each character being either unpleasant and/or vapid. These players bump into each other and spin around with little control in ways that are amusing and entertaining. The Fix is a crime comedy caper dressed up in farce, served up with a side order of pantomime and with a bread basket full of laughs. Imagine a dark Spitting Image moved a on a couple of decades where nobody is quite what they seem and the ghost of Tom Sharpe has joined the script-writing team – if any of that appeals, this is certainly the novel for you.